A printable version of all the crafts and tools informations (two pages): number of uses, etc. 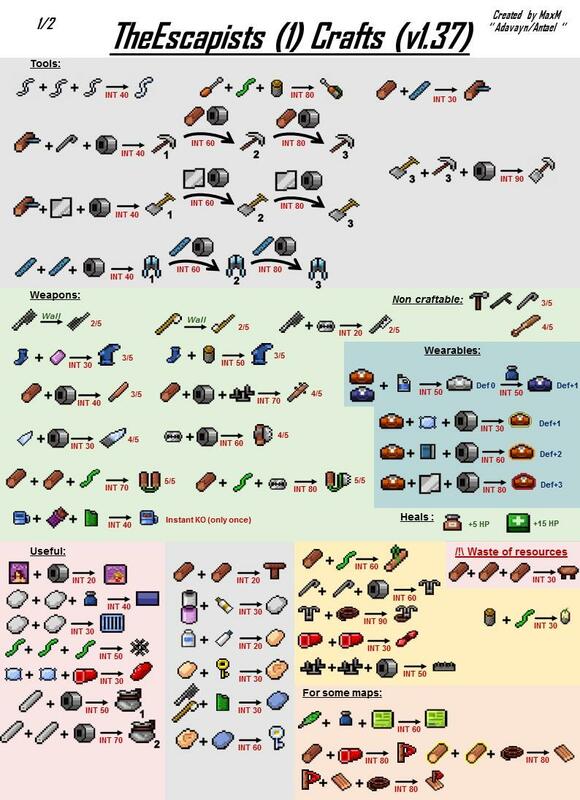 First page contains the "basic crafts" from the classic game maps, with the intelligence needed to craft the item (all has been confirmed on the last version I played, 1.37), and some other items like some weapons and heals you can find in other desks. 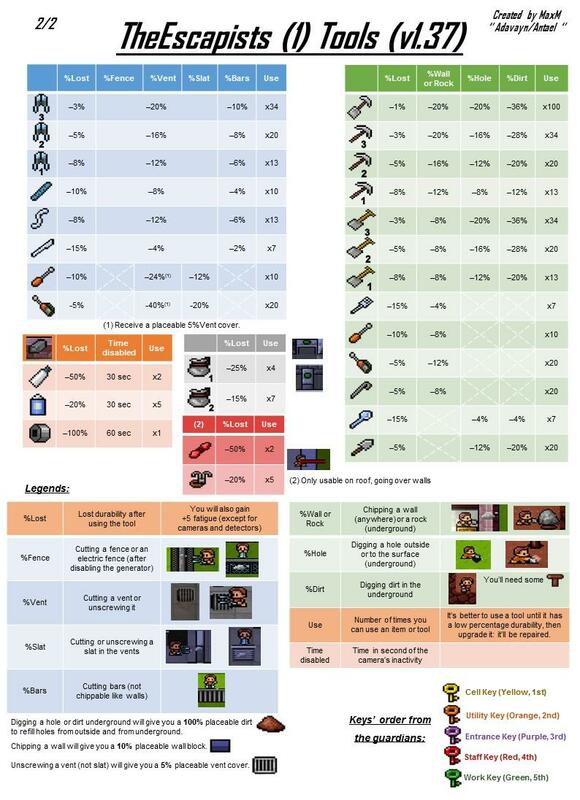 The second page contains the statistics of all of the tools (unless I missed some? I don't think so) depending of their use (digging, chipping, cutting...). 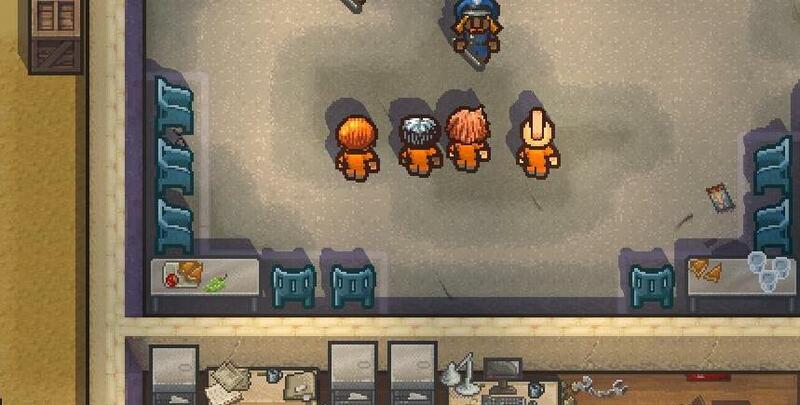 It also contains the list of the keys depending of the guards (Tips: it's easier to find the corresponding key if you name the guards like "Alpha Bravo Charlie Delta Echo", or "First Second Third Forth Fifth").